"Jack Buys Don Cuff Links"
Jack Benny was an American institution in old time radio comedy with his running gags including his basement installed by Spike Jones, his perpetual age of 39, the feud with Fred Allen, the awful violin playing, and his miserly spending habits. 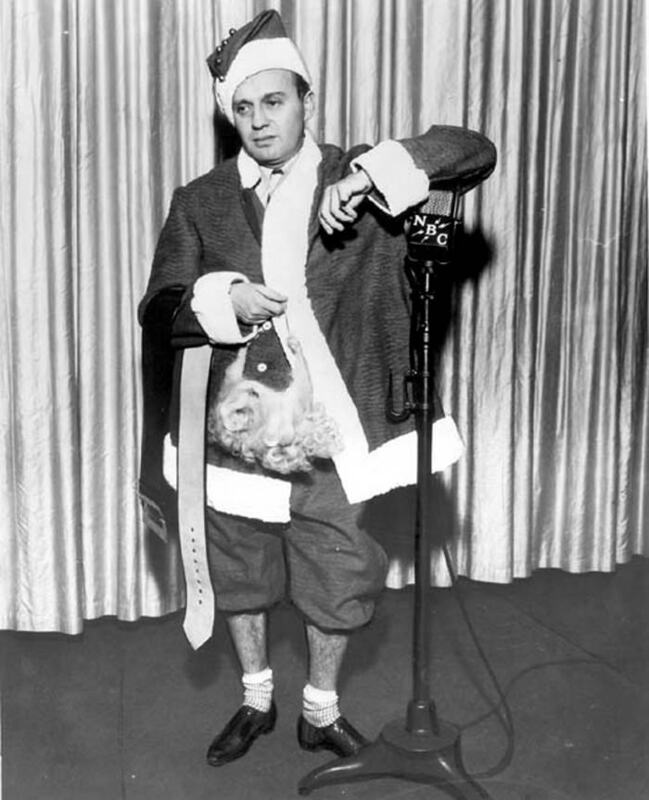 But it was during the holidays that the Jack Benny's Christmas shows highlighted the best comedy and music for the holidays. As one might imagine, gift giving for the very parsimonious Jack Benny became a hysterical conversation with confused shopping clerk often played by Mel Blanc, who's sanity is tested by waiting on Benny. In one memorable skit, Jack Benny debated which shoelaces to buy Don Wilson. In later episodes he opted to buy other small gifts for Wilson from cuff links, golf tees to a box of dates with an equal about of penny-pinching hilarity. Jack Benny's holiday guest appearances in such classic radio shows as Phil Harris and Alice Faye show, Command Performance, are also included in this collection. This is a delightful collection of shows of the Christmas Holiday season. See also: Jack Benny and Fred Allen Feud and Christmas Collection. For more comedy Christmas compilations, see also Fibber McGee Christmas and Great Gildersleeve Christmas and New Years. 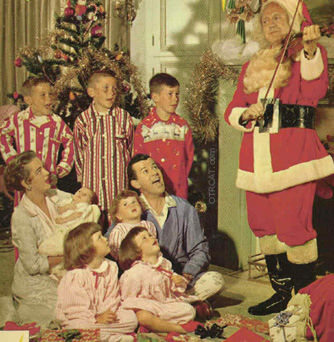 Listening to the 1951 Christmas Jack Benny episode with Ronald and Benita Coleman and was saddened by the fact that NONE of the 8 actors on that episode and show are alive today. Yet we can re-live those times through their audio. I know what you mean. These gifted artists were so present. It inspires us to appreciate the moment... And that\'s the wonderful and essential thing about recordings it is a living link to those lives, culture and history.